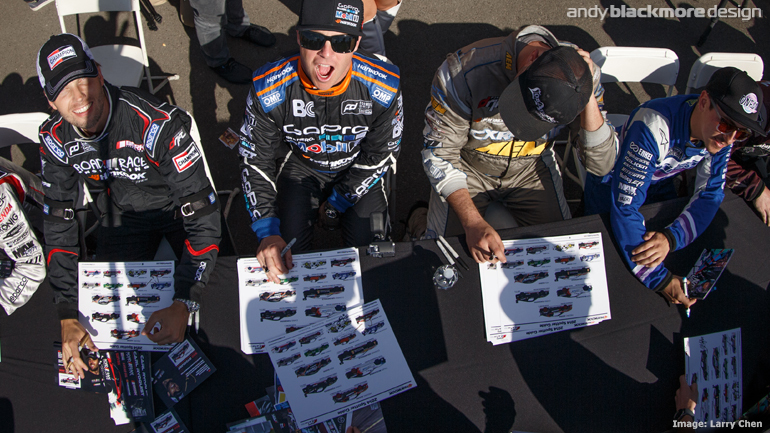 Illustrating and researching 30+ race cars with all the details and race by race updates takes weeks. As you may be aware, my main business is Andy Blackmore Design, a one-man band which creates a large range of liveries, team identities and vehicle styling across North America, Europe and the Middle East. I approached many companies but to no avail. The aim long term for SpotterGuides.com was to be a near-viable project. I’m now at a point where a Spotter Guide without any sponsorship, or partnership is taking me away from paying work, the work that helps to keep the roof over our heads and feeds the family. I love my job, but, its long hours and hard work – not that I’m complaining, I’m very fortunate, my job is my hobby. 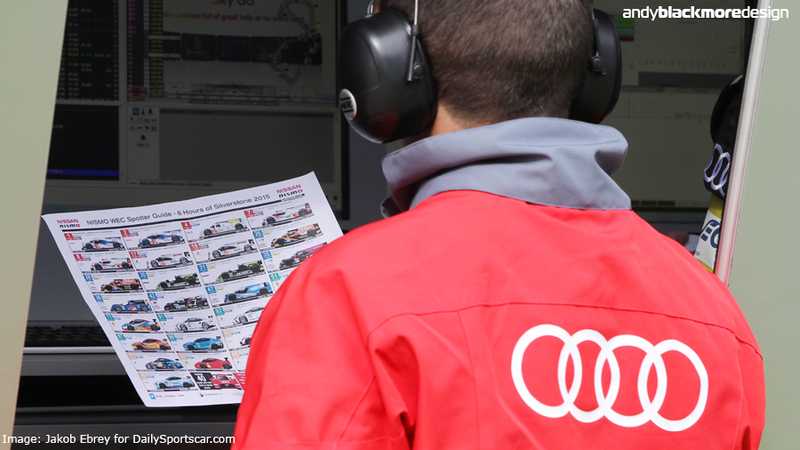 It is a similar situation with the individual Le Mans Spotter Guide although I am exploring the possibilities with various companies, but it is hard now the series have created their own official guide. Being totally transparent, after 8 years of my Le Mans and WEC Guides, the series released their own guide last year, which of course they have every right in the world to do ;). It was a little frustrating I was never asked to bid for this, given I’d produced detailed accurate guides during those years and had sent previous unanswered correspondence about the guide, but it is what it is. With its arrival, its clearly harder to convince a company to partner with my guides, even though they contain more info and are updated during race week, which brings us to where we are. 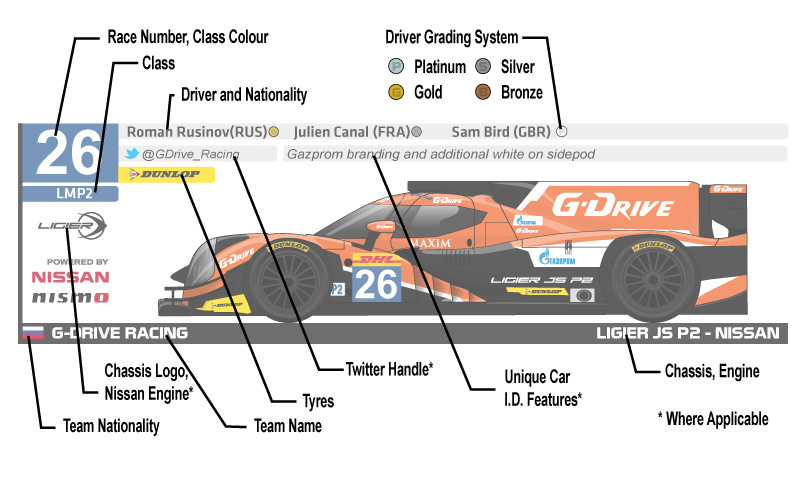 The main thing though, fans, still have a WEC Spotter Guide to view on their site. It goes without saying, if your company might be interested in a guide, please drop me a line. I am not interested in setting up a crowd funding project. The guide should be free to the fans and heard too any horror stories on crowd funding. It also takes a significant amount of admin time. Time I don’t have. Huge thanks to Nissan who partnered with Spotter Guides for the past four years. 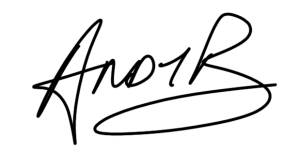 They were fantastic supporters of the guide and they remain a client of Andy Blackmore Design in other areas including illustration, so extremely thankful for their support. Thanks to everyone who has ever downloaded or supported a guide in any way and the partners, past, present and future, who make this possible. It is massively appreciated. Thank you to the partners, past and present who have helped to bring any of the guides to life and to help fans around the world. Thanks for the many, many years of hard work Andy. Your time and dedication makes a world of difference when trying to follow our favorite flavor of motorsport live at the track or on TV. I’m optimistic that this will continue for many years to come. Sorry to hear about this situation, your guides have been my well thumbed companion through many weekends. Thank you for all you have put into these guides, your efforts have been very much appreciated. Here’s hoping they may be back in the future. Fair enough, shame someone can’t step up. Especially for the 24hr they’re indispensable.